The US dollar declined on Friday after the release of the October US jobs report, as tightening of US monetary policy is expected next year. 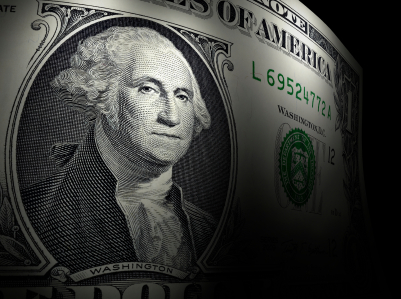 The US dollar lost some ground on Friday in the wake of the October US jobs report, which showed solid data but still was below expectations. Investors took profits made from the dollar rally which had been in place for more than 6 months and sent the dollar to multi-year highs, on the grounds of the tightening of US monetary policy projected to take place next year. The US nonfarm payrolls change came out pretty good at 214,000, but still was below economists’ forecasts of 231,000. There was a decline in the jobless rate to a fresh six-year low of 5.8 percent. The tightening of US monetary policy would lend the US dollar a yield advantage, compared to its counterparts, given that investors are on the lookout for more rewarding returns. On forex markets, after the US jobs report came out, the euro briefly declined to $1.2357, a fresh 26-month low, and subsequently went up by 0.58 percent to reach $1.2445. However, for the week the euro was down by 0.63 percent. The decline in the shared currency followed the Thursday pledge by Mario Draghi, European Central Bank President, who once again promised to take measures for supporting the grappling euro zone economy. The USD/JPY retreated to 114.44, a slight pullback from the Thursday seven-year peak of 115.49. The development weighing on the yen is the renewed strife by the Bank of Japan to loosen monetary policy further, hoping to boost inflation and spur economic growth. For the week, the US dollar rose by 1.90 percent against the yen. The US dollar index reached its highest point since June 2010, 88.19, and subsequently slumped back to 87.55. The index tracking the greenback’s performance against other major currencies rose by 0.74 percent for the week. It has staged a massive rally since May: the rise amounts to nearly 12 percent.